At Laser Plumbing Mairangi Bay, we understand what businesses need. We provide 'Totally Dependable' commercial plumbing services across the greater Auckland area including Albany, Mairangi Bay, Takapuna, North Shore and Birkenhead. We offer the highest level of responsiveness and reliability, including on-line job management and reporting. Laser Plumbing Mairangi Bay has OH&S compliance and expertise and is committed to a high standard of health and safety. We believe all accidents are preventable and do our best to ensure that all sites are safe before proceeding with any work. We also have experience in working in confined spaces and are specialists in working at heights. 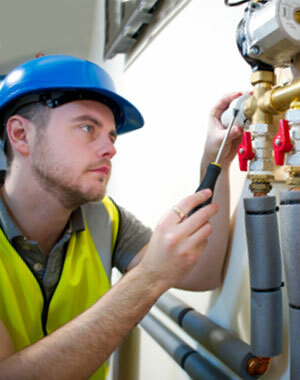 Our highly experienced plumbers ensure that your premises are always maintained and compliant. This means your team can operate at maximum efficiency and safety. We will do our best to show up on time, be well presented and up-front with you regarding the work and take care of your problems with due care and attention. Using our unique Laser systems, we ensure that your facility management is headache free. We coordinate technicians, manage scheduled servicing and ensure all administration is handled promptly and professionally. Whether it's new installations, designing a solution, or programmed facilities maintenance, contact Laser Plumbing Mairangi Bay for "Totally Dependable" plumbing service. We can take care of your commercial plumbing requirements, so please contact us to discuss your requirements.